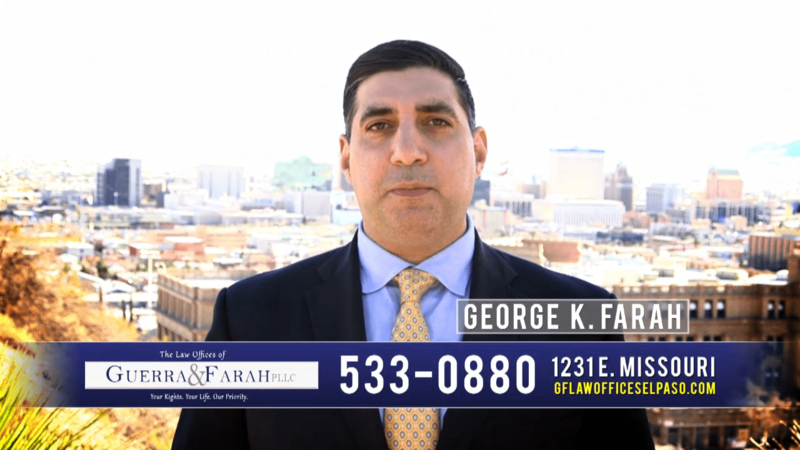 At Farah Law, our El Paso personal injury attorneys are specifically devoted to helping the injured people of El Paso. Our firm was founded on the belief that innocently injured men, women, and families deserve an advocate – and we are proud to be the voice of justice our clients need during a time of crisis or uncertainty. 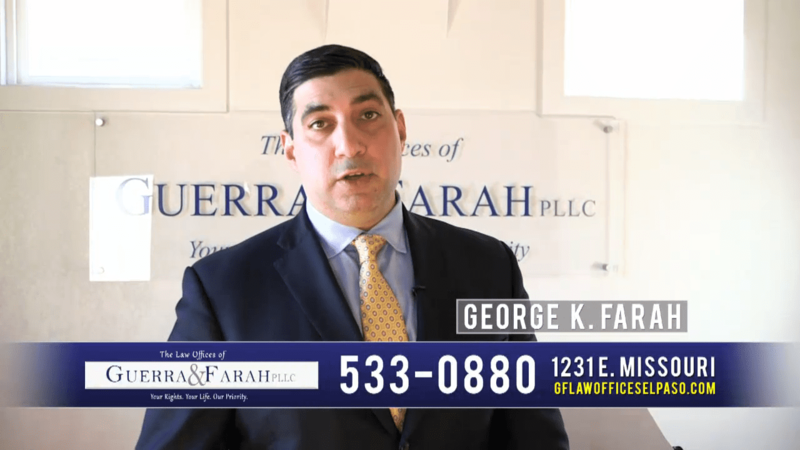 As our client, you can expect to be represented by a team of top trial attorneys who are singularly devoted to seeing your case to a favorable conclusion. We regularly take on cases that have been refused or denied by other attorneys, and in doing so, have been able to recover millions of dollars in verdicts and settlements. Do not assume your case is too complex or difficult to handle. Let us use our collective experience, knowledge, and skill to your advantage. Speak with us by calling (888) 470-9772 or if you prefer, fill out an online consultation form. We are available 24 hours a day, 7 days a week, and accept cases on a contingency fee basis. Fill out the following form or call us at (888) 470-9772 to get started. Settled 18 Wheeler Accident. Client suffered a torn meniscus and herniated discs in back. Settlement 18 Wheeler Collision The client had a torn meniscus in his knee which was surgically repaired. We accept cases on a contingency fee basis. This means you do not have to worry about paying a dime upfront. Since our firm’s inception, we have always believed in providing clients with the top-notch service and counsel they deserve. The moments immediately after an accident can be the most important. Speak with us today to learn about your options. As a first-generation American who was born and raised in working-class families, George K. Farah recognize how overwhelming it can be to face a seemingly difficult road ahead. Though you may assume your case is wrought with obstacles and challenges, we encourage you to speak with us today. We have successfully represented countless individuals and families throughout the communities of Texas. We know what is at stake and are ready to help you pursue the rightful compensation you need at this time. We proudly stand as fierce advocates for the injured and bereaved. We have the resources of a large law firm but still maintain the one-on-one service that you can only find at a boutique law office. Our attorneys are continuously recognized for excellence and have recovered millions of dollars on behalf of El Paso’s injured and bereaved. We stand ready to help you get the full compensation you deserve.